Refined, innovative and personal: DLD is committed to elevating contemporary interiors. 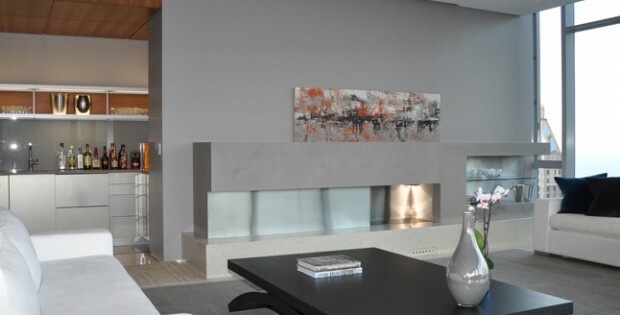 A custom limestone fireplace houses a motorized lift mechanism for a 60″ flat screen television. This penthouse project began with the combination of two unfinished, newly constructed units and culminated in a highly livable space with full home automation.